Danger Zone Music Group wishes to express its deepest condolences to the family and friends of Mikey Pelpa. Over the years Danger Zone has had a productive relationship with the artiste and is deeply saddened by his untimely passing. CEO of Danger Zone Music Group Delmar ‘Della Danger’ Drummond who was a friend of Mikey Pelpa summed up the mood in the camp: “Mikey Pelpa was one of the young artistes on the Danger Zone roster. Words can’t explain the grief that has gripped the Danger Zone family; we are yet to come to terms with the news of the death of this young talented artiste. 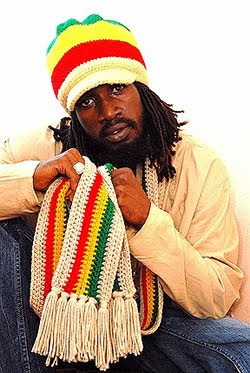 All members of the team remember Mikey as an artiste who was trying to use music to bring people together and who believed in the vision of Danger Zone Music Group which is Unification Through Music. Danger Zone misses Mikey Pelpa”. Mikey Pelpa is noted for his collaboration with Lymie Murray, Emergency on the ‘Jam Down’ rhythm, Parental Guide on the Cloud Nine rhythm, Say What U Want on the ‘Pay Back’ rhythm and his recent release Mama Don't Worry At All. He was acclaimed for his focus on family values and once revealed: "Di yute dem haffi show respect and remember seh dem parents a di real guide. Me never diss my mother yet cause a she a mi real inspiration and if the yute dem inna the society focus pon that and transfer it to dem brother then evil will cut in half". According to The Jamaica Star, Pelpa (born Micheal Augustus Lynch) drowned while trying to escape US authorities after traveling from Bahamas to Fl coast by boat.